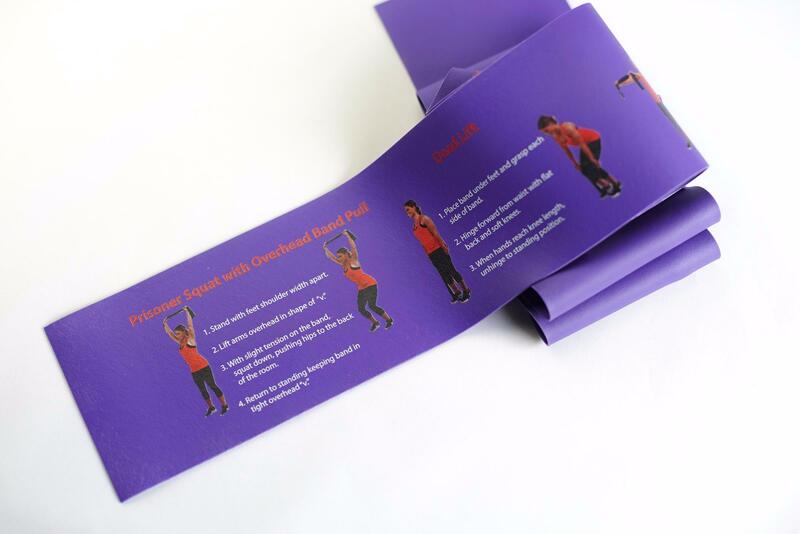 The band2FIT Total Body workout is imprinted ON the band and travels easily. No gym? No space? No excuses NOT to get a quick and efficient strength workout—whether on vacation, traveling for work, or while at work. The band2FIT carries constant tension throughout each movement, thereby recruiting more muscle fibers and making you more toned. The workout moves in a circuit format, starting from the left side of the band moving to the right. After warming up, perform 10-15 repetitions of each move for 1-3 circuits. Hold static moves for 10-30 seconds. Do the workout 2-3 times each week on non-consecutive days. GOT 10 MINUTES? GOT 20 MINUTES? Do 1 circuit Do 2 circuits, working your way up to 3 Access the band2FIT for Total Body Strength video, Includes a warm-up and cool down. Tell us where to send YOU information about band2FIT resistance bands for travel, desk jockeys, seniors, kids, and cancer survivors.